My research interests include spatio-temporal databases and natural language processing. February 2018: Visited the School of Computer Science and Engineering, University of New South Wales. Yunxiang Zhao, Jianzhong Qi, and Rui Zhang. CBHE: Corner-based Building Height Estimation for Complex Street Scene Images. To appear in WWW, 2019. Jiayuan He, Jianzhong Qi, and Kotagiri Ramamohanarao. A Joint Context-Aware Embedding for Trip Recommendations. To appear in ICDE, 2019. Zhen Wang, Rui Zhang, Jianzhong Qi, and Bo Yuan. DBSVEC: Density-Based Clustering Using Support Vector Expansion. To appear in ICDE, 2019. Bayu D. Trisedya, Jianzhong Qi, and Rui Zhang. Entity Alignment between Knowledge Graphs Using Attribute Embeddings. To appear in AAAI, 2019. Aili Shen, Bahar Salehi, Timothy Baldwin, Jianzhong Qi. A Joint Model for Multimodal Document Quality Assessment. To appear in JCDL, 2019. Rui Zhang, Jianzhong Qi, Martin Stradling, and Jin Huang. Towards a Painless Index for Spatial Objects. ACM TODS, 39(3): 19:1-19:42, 2014. BibTex. Proceedings Chair: ADC 2015, ADC 2018. External reviewer: DCC 2017, SIGMOD 2015, WWW 2014, SSTD 2013, WISE 2013. 2018 - 2020, ARC Discovery Project x 2, Australian Research Council. 2017, Eshbach Visiting Scholar Fellowship, Northwestern University. 2016, Early Career Researcher (ECR) Grant, University of Melbourne. 2015, Early Career Researcher (ECR) Grant, Melbourne School of Engineering. 2017, Best Vision Paper, SIGSPATIAL. 2015, Nominee, MERIT Prize for the Best PhD Thesis in Engineering, Melbourne School of Engineering. 2015, Nominee, John Makepeace Bennett Best PhD Thesis Award, Computing Research and Education Association of Australasia (CORE). 2015, Best Poster Award, ADC. 2013, Student travel scholarship, ICDE. 2012, Runner-up for Best Paper, ADC. 2011, Google PhD Travel Prize, Google. 2010-2013, Melbourne International Fee Remission Scholarship, University of Melbourne. 2010-2013, Special Postgraduate Studentship, University of Melbourne. Semester 1, 2016 - 2019, Foundations of Algorithms (COMP10002). Semester 2, 2015 - 2019, Engineering Computation (COMP20005). Semester 1, 2015, Advanced Database Systems (COMP90050). Semester 1, 2014 - 2016, Programming and Software Development (COMP90041). Semester 1, 2013, Engineering Computation (COMP20005) (Head Tutor). Semester Summer, 2013, Advanced Studies in Computing 6B (COMP90005). Semester 2, 2012, 2013, Foundations of Algorithms (COMP10002). Semester 1, 2012, Programming and Software Development (COMP90041) (Lab Demonstrator). 2012 - present, IEEE member. March, 2011 - April, 2012, Postgraduate Seminar Coordinator, Department of Computing and Information Systems. March, 2011 - December, 2011, Toy Library Volunteer, Save the Children Australia. Yu Sun (PhD), 2013-2017, first job at Twitter. 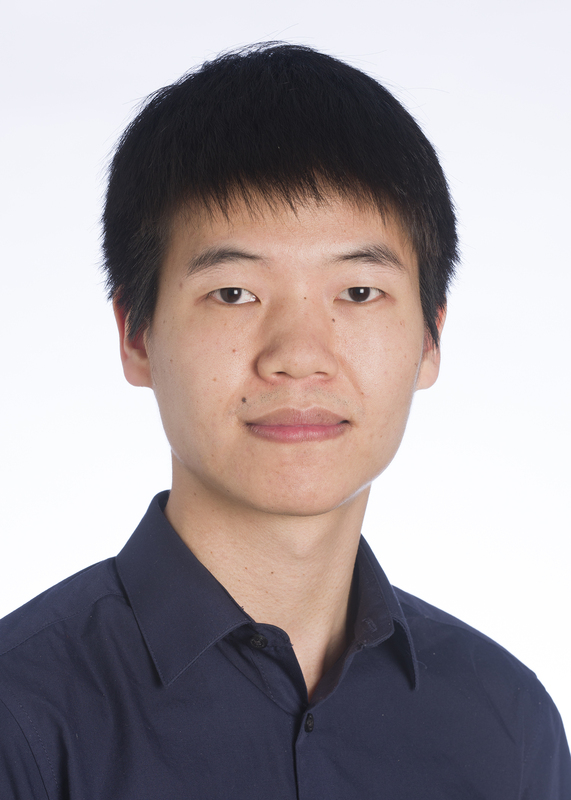 Jin Huang (PhD), 2012-2016, first job at University of Melbourne. Andy Yuan Xue (PhD), 2012-2016, first job at startup. Towards a Painless Index for Spatial Objects. ACM TODS, 2014. With three datasets C, F and P (source code for the data generator, 177KB). |C|: 100, 000, |F|: 5, 000, |P|: 5, 000. All the datasets follow uniform distribution. The Min-dist Location Selection Query. ICDE, 2012. A Branch and Bound Method for Min-dist Location Selection Queries. ADC, 2012. The Min-dist Location Selection and Facility Replacement Queries. WWWJ, 2014. With two moving object sets and an object update set. Every object set has 10, 000 objects with uniform distribution in a 1000*1000 space domain. Object velocities follow a uniform distribution with the maximum speed being 1. Every object issues an update every TM timestamps (source code for the object update generator, 248KB). A Highly Optimized Algorithm for Continuous Intersection Join Queries over Moving Objects. VLDB Journal, 2012. Continuous Intersection Joins Over Moving Objects, ICDE, 2008. Continuous Intersection Joins Over Moving Objects, March 2007 (a technical report). Mandatory disclaimer: This page, its content and style, are the responsibility of the author and do not necessarily represent the views, policies, or opinions of The University of Melbourne.